We’re back with another round of the best and worst looks from the past month! Since the biggest event in country music, the Academy of Country Music Awards, just went down at the beginning of April, this edition will be solely dedicated to the men and women of one of America’s oldest musical genres. Some looks were great and others, well, could have used some tuning. We’re off to an amazing start with this country star! The shade of blue, crisp white shirt and solid, dark tie all complete his look, and his fit is nothing short of spectacular. This man not only knows how to write a good song, but how to pull of an amazing suit. This look is a stunner. 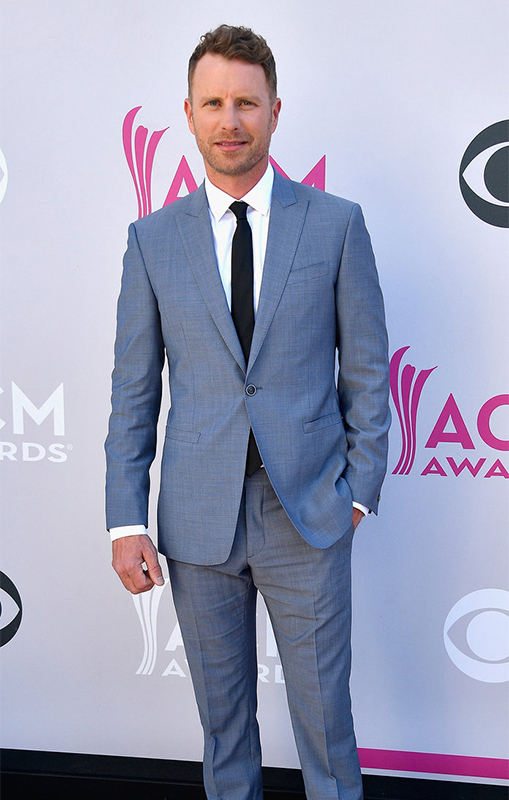 Not many celebs opted for tuxes for the ACM awards, but Bryan definitely pulls it off. The arc shawl lapel on this tux also steps up his game, and the color block tie adds a touch of variety to the solid black ensemble. The fit is great on him as well, creating the nice, trim Y shape that all men strive for. Both male members of this amazing trio have a great look going for them: casual, non-typical colors with open shirt collars and brown wingtips. Haywood’s black and tan combo works great with his skin tone, as does Kelley’s green and tan spotted look. They both have great-fitting slim suits, which you don’t often see done this tastefully. Poor Keith is being completely outshined by his wife (which has happened a lot in the past 11 years). I understand the desire to seem a bit more casual, especially since country music itself is by and large a little more laid back than other musical genres. However, I do not get a superstar such as Urban looking this tired and just thrown together. His shirt sleeves almost cover his hands, and the super-skinny tie looks undone with a barely buttoned collar. The choice to wear combat boots is a little confusing to me, but then again, the whole outfit just looks sloppy. This one is a bit of a treat, since everyone’s favorite boy band isn’t technically a country group (one can only assume the guys are present because of a collaboration they did with the duo Florida Georgia Line). So the last of our worst looks will contain not only one, but five unfortunate ensembles. Overall, I’m not quite sure any one of these suits “fit”, as most of them are either too long or too baggy. First up in the regrettable reunion is Carter (from the left), whose main issue is very billowy jacket sleeves, in addition to a very dismal color scheme for his contrast. McLean manages to sneak by my critique of fit; however, it almost seems like he’s wearing a tux with an open collar shirt, which just looks lazy. 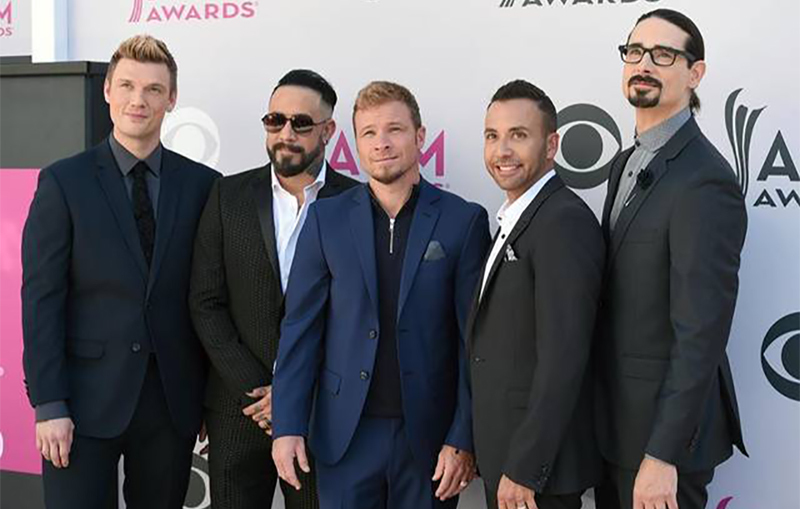 Littrell looks like a bodybuilder who borrowed a slim fit suit, given the extremely ill-fitting arms, shoulders and mid-section. Howie D RSVP’d to the long-sleeve party. And Richardson made the very common mistake of sticking his lapel pin back through the front of the fabric, though his whole look may be the shining star in this regrettable group of boy band fashions. Casey is a Style Consultant at Surmesur Pittsburgh. When she's not measuring or designing, she's either performing onstage or working behind the curtains, with various musical theater and opera companies throughout the Greater Pittsburgh area.